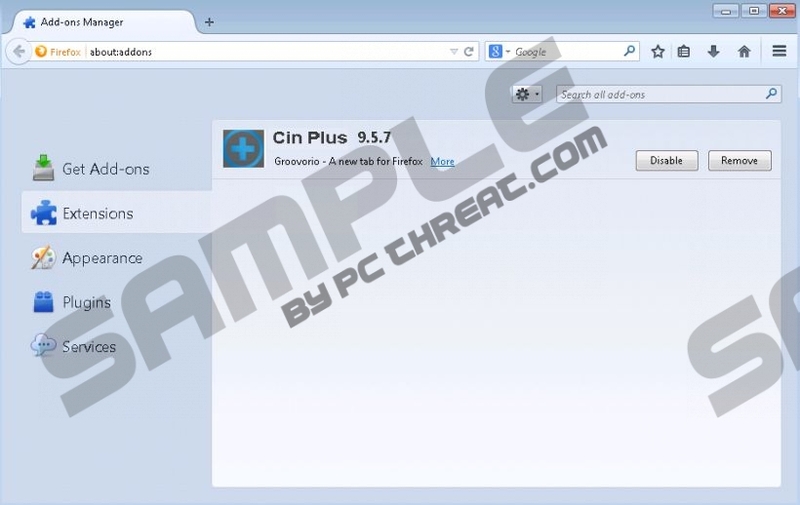 Cinplus is an adware application that will enter your computer together with freeware programs. Whenever you download applications at a third-party file sharing website, you have to keep in mind that there is a chance the program you want will arrive bundled with such additional applications like Cinplus. Although this program is not a malicious computer security threat, you should not keep Cinplus on your system. The sooner you remove Cinplus from your computer, the better. This adware program is associated with potential computer security issues, and you should not ignore anything that threatens your system security. When Cinplus enters a target system, it installs extensions on Internet Explorer, Mozilla Firefox, and Google Chrome web browsers. The program tries to make an impression that it is a useful application that can enhance your online video watching experience. However, in that aspect Cinplus is no different from Cinema-Plus, HD-Plus, Cinema HD, HQ Cinema, and other adware applications from the same family. These adware applications are based on Crossrider engine, and each program does not function longer than a month. In other words, the developers create new adware application every month and give it a different name, but in reality it is nothing but a clone of an older application. Needless to say, you have to avoid similar security issues and to do that you should remove Cinplus. If you think there might be more unwanted programs installed on your system (and there probably are), you should scan your computer with the SpyHunter free scanner. If additional unwanted programs are found, terminate them at once. You can uninstall Cinplus via Control Panel, but that may not be enough to get rid of all the unwanted files. Hence, it is always a good idea to acquire a licensed antispyware tool that will run regular system scans and protect your PC from harm. Should you have any additional questions, please feel free to leave us a comment anytime you want. Select Uninstall a program and remove Cinplus. Open Uninstall a program and remove Cinplus. Select Add or remove programs and uninstall Cinplus. Quick & tested solution for Cinplus removal.